We all have the ability to come together, to share the same positive productive, and transformative intent to change this world for the better (should we choose to). No travel is necessary, it's free, and this opportunity is open to everyone. All a person has to do is to sit down, relax, and think happy thoughts. Yes, it sounds really easy--maybe even too good to be true--but this is actually the method. In physics, this meditative effect utilizes the concept of sympathetic induction of resonant frequency, but what does this mean in English? Simply put, it means when an object vibrates at a certain frequency, all of the other material around it, made of the same stuff will begin to vibrate at that same frequency. We might note that we as human beings and generally made out of the same matter. This means that emotional sympathy may not simply be based within emotion. It may, in fact, be a transfer of energy. Click the link below for more on sympathetic resonance. In the ELF range (ELF standing for the extremely low frequency range), when we meditate as a group, we transfer physical energy into the world around us. Consequently, our collective, positive emotions can begin to affect the people around us, our life experience, and the surrounding physical world. 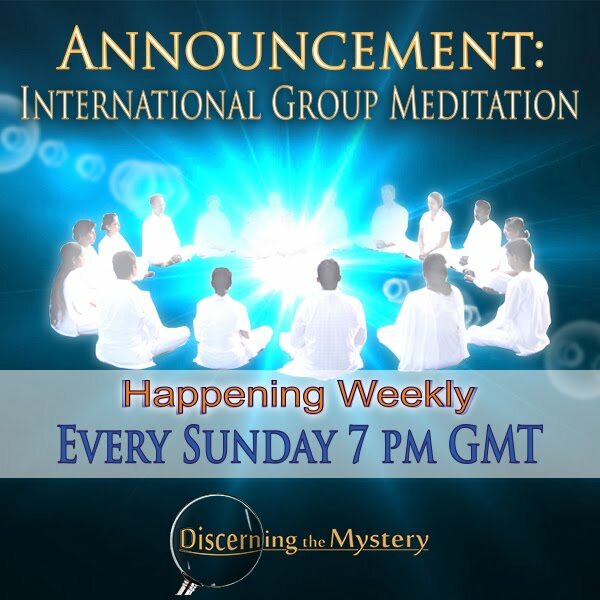 Our goal each Sunday at 7 pm GMT is to do this in the most positive and life-honoring way possible. You can convert 7 pm GMT to your local time zone at the link below. Come join us. Take the time to relax and choose to think and feel in the most positive way, and as you do, watch our world make a quantum leap in a profound direction. Click the link below for the details. ARising Schumann Resonance Raising Human Consciousness?